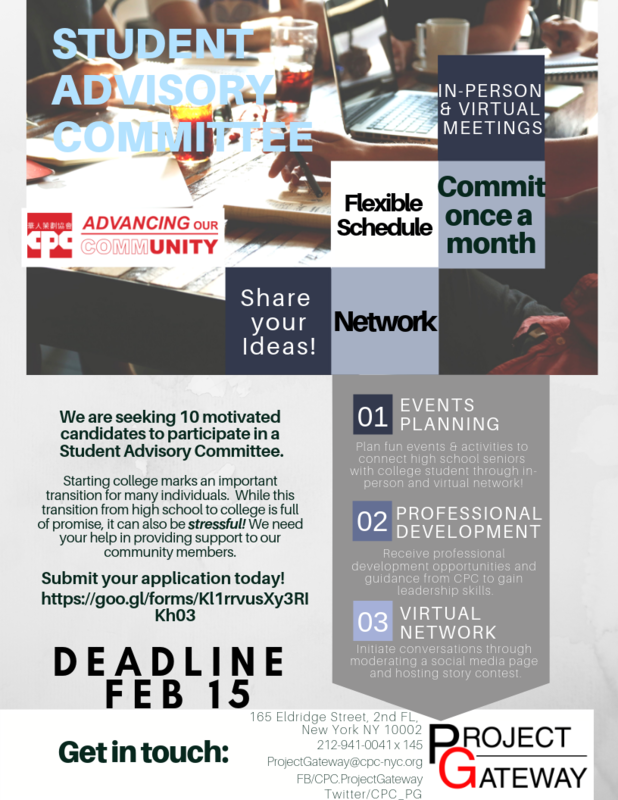 We are looking to recruit 10 SAC members ranging from high school seniors to college students to be involved with this leadership opportunity. In-person and virtual meetings available! For more information, please contact Suzan Lam, Director of Project Gateway at SLAM@cpc-nyc.org. 想了解更多信息, 請聯繫Suzan Lam, 大學之道輔導中心的主任。 郵箱地址： SLAM@cpc-nyc.org.